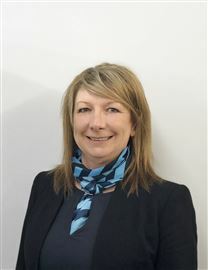 With over ten years’ experience in the finance sector, Cindy’s commerce experience is second to none; after many years of service in banking practise, turned her attention to the real estate industry and joined Harcourts in 2011. Recognising her intricate knowledge in finance and business management, Cindy found her feet in property management and then worked her way through the various roles of administration, accounting and sales; and through her dedication, interest and aspiration, achieved her goal of business ownership in 2017. Born and bred in Deloraine, Cindy has strong ties to the local community. Dedicated to supporting her local community, one of Cindy’s many achievements includes hand-sewing costumes for the Apex club of Deloraine. A strong believer in doing the right thing, having fun, putting people first and being bold, Cindy’s community spirit is synonymous to the values of Harcourts. Cindy has a professional, respectful and down to earth approach that is delightfully refreshing in the real estate industry, ensuring her Clients receive the attention they deserve. In her spare time Cindy enjoys spending time with her hubby, family, gardening, swimming and is also a very successful pedigree cat breeder. With over 13 years work experience, Selena collates her industry knowledge, values and strong work ethics to drive positive outcomes for her Clients. Through a focused approach and a passion for attaining a ‘critical edge’, Selena prides herself on delivering consistently superior results. With a diverse background in property, customer service, sales and people management, Selena brings energy, enthusiasm and a wealth of knowledge to the property management industry. Originally from Deloraine, Selena has lived and worked in Victoria for the last 4 years and prior to that, was located in Hobart. 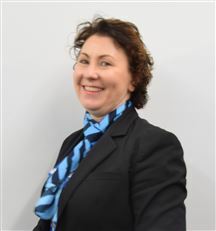 After 14 years Selena has chosen to return to Deloraine to develop and manage the property management portfolio with Harcourts Meander Valley. With years of customer service, complain resolution and management, Selena turned her attention to Property Management in 2011 and found that she loved the work. She took on a role as the Property Manager for a boutique agency that had an unhealthy rent-roll of 300 homes. 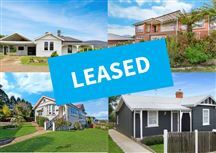 Within three months, she had filled the long-term vacant property and minimised the loss of rent for the Landlords – a remarkable turnaround. 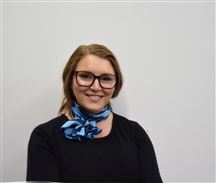 Selena relocated to Victoria in 2013, quickly completing her studies to act as a Property Representative in Victoria, she approached a Sales Agency with the aspiration to start a rent roll from nothing and to develop, manage and build a clean, healthy, well-run rent roll. 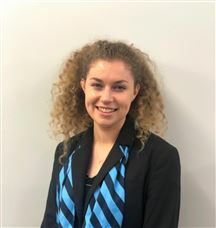 At 23 years of age and always wanting to learn more, Selena gained her qualification as a Licensed Real Estate Agent and with complete dedication to her role, Selena has since commenced her next goal to aid business growth – a Bachelor of Business majoring in Management & Marketing. Specialising in her field, Selena now holds a full Real Estate Agent’s License in Victoria and Tasmania – operating under Harcourts Meander Valley, her passion is still property management. “I’m a firm believer in the three P’s – people, property and passion. With those three ingredients, I can accomplish the best results for all of my Clients”. Selena’s approach is to understand what you - as a Landlord - are looking for, and to find the right Tenant based on extensive research of their application – and then match that precise Tenant to your property. Selena has a strong emphasis on delivering her commitment and promises all of her Clients quality assurance. Her refreshing approach and results focus will surprise and delight the most fastidious Investor. Working for my Vendors is a privilege that I do not take for granted. There are very few professions where your client instils so much trust in your professional services. We are welcomed into the very most private parts of peoples lives, their personal space and entrusted with their valuable asset. I started my working life in the building industry, so I have a good grounding in not only the “bricks & mortar” side of housing, but it has helped me develop my interpersonal skills in and around the environment of others. Money doesn’t motivate me, we require it to sustain our office, but for me satisfaction from achievement is my master. I have played sport at the elite level representing my country, state and home town. I am a country boy born and breed, fifth generation Australian. I live with the value of honour and integrity, I have taught this to my children and I expect this from my employees. At the end of the day, these two qualities are the only things that bind us as human beings, business people and community members. We need your business and in return I can assure you that we will act openly and honestly in all dealings. So if you are contemplating buying or selling in the Meander Valley area, please contact us, we would love to be at your service. A driven and enthusiastic young professional, Natasha joined our team in November 2017, eager to find her foothold in the real estate industry. Privileged to work alongside two of the longest standing real estate professionals in the area, Natasha has learnt from some of the best since her real estate career began. For Natasha, nothing is “too hard”. Reflected in her success thus far, her hard-working nature has helped her achieve her goals. From breaking world records for the longest netball game, to the biggest breakfast - to being voted House Captain at St Patrick’s College - her ability to get things done is synonymous to her successes. Natasha’s personable nature ensures that every single person she meets receives the same attentive care they are deserved. Her commitment to excellence is proven in her longstanding relationships with past and returning clients. Consistently monitoring the market and identifying new ideas and marketing solutions, coupled with good old fashioned customer service, Natasha’s knowledge of the real estate market is proof that you’re in good hands whether choosing to buy or sell. Natasha’s obligation to her clients is to secure the best price, in the shortest time, without any hassles along the way. Having completed her Agent Representative course to work in real estate, Natasha is also completing a Certificate III in Property Services. Outside of work, Natasha enjoys spending time with her family and friends, travelling overseas, playing netball for Meander Valley Suns and is an avid lover of animals. Part of an award winning team, achieving the best results for our clients is the trademark of our reputation. We look forward to your interactions with Natasha and hope that you are as thrilled as we have been to welcome her to our sales team. Listed and sold in ONE DAY! Don't be a slave to rent ! Deceased Estate Must Sell ! So You Want A Bargain? Vendor Keen To Sell ! !